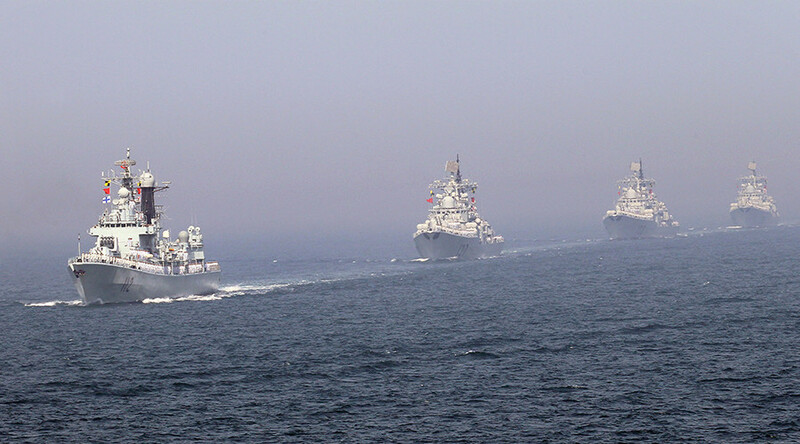 China’s Defense Ministry has issued an official apology after hundreds of people slammed an online picture commemorating its Navy’s anniversary which features navy ships and fighter jets belonging to other nations. 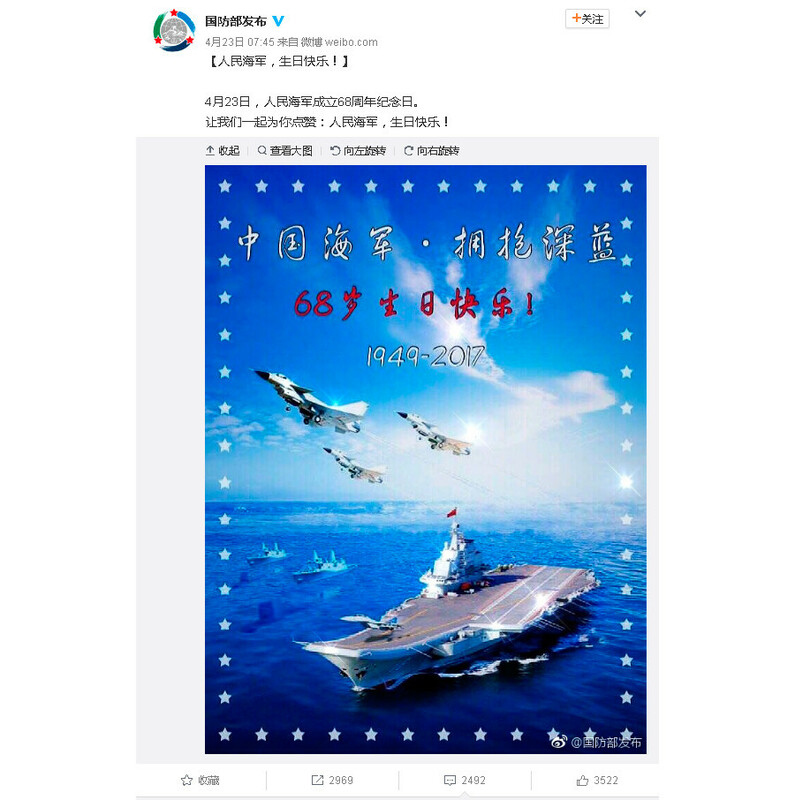 The image appeared on the defense ministry’s official accounts on the Weibo microblogging website and WeChat (a smartphone instant messaging app) on April 23 to mark the Navy’s 68th birthday. 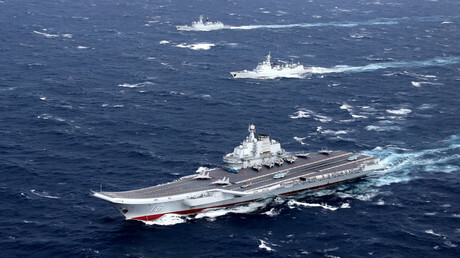 It featured a photoshopped image of a Chinese aircraft carrier alongside several fighter jets as well as two warships and two shadow figures of submarines in the background. However, people, who saw the picture were quick to point out that the two warships in the background were in fact the US San Antonio class amphibious transport docks while one of the aircraft was a Russian MiG-35 fighter jet. Three other fighter jets shown in the picture were land-based J-10s rather than deck-based J-15 fighters, according to some comments. Social media users expressed their dissatisfaction with the fact that the ministry decided to mark “such an important [date] for the navy” with a picture featuring “some random images” of military equipment. “Do you need a designer?,” one comment asked while another one assumed that the ministry’s ‘Department of propaganda’ apparently lacks knowledge of its own military equipment. Many people also blasted the ministry officials responsible for the social media posts. "Those propaganda guys are weak in the head. They need to go after them for not doing their job," one comment read. Following the wave of criticism, the ministry apologized for the image. The ministry’s spokesman, Yang Yujun, admitted that the picture was “not meticulous” and thanked the people for their “criticism” and “concern” about the Defense Ministry’s social media accounts. "The carelessness was with the editor, the responsibility is on the shoulders of the leadership," he said, as he offered“a sincere expression of regret” and “heartfelt apologies” to Defense Ministry’s social media fans. The spokesman also said during his monthly press briefing on April 27 that neither the image nor the critical comments would be deleted as they would serve “as a warning” for ministry officials. Chinese media reported that it was “the first such case” when the defense ministry publicly apologized and acknowledged its errors in such an issue.